We are going to make up for that last visit. (SPOT.ph) Author, chef, TV show host Anthony Bourdain is set to return to the Philippines, this time to shoot for his CNN program, Parts Unknown. His visit won't be too long from now because, according to an ABS-CBN report, the episode will be for the current season. Fans of Anthony Bourdain would remember his rather dud visit in 2008 for now defunct No Reservations. After a safe start with Chinatown man Ivan Man Dy (where the award-winning host tried fish balls, taho, palabok, and experienced the dampa), then a smash hit with Bale Dutung's Claude Tayag (who wowed him with the Kapampangan culinary philosophies and made him try goat four ways), the show became a little less spectacular when his designated invitee, a Filipino New Yorker, didn't seem too happy to be there. We've purposely forgotten that last part (but you can relive the episode on YouTube). Our takeaway, however: Anthony Bourdain loves sisig and lechon. 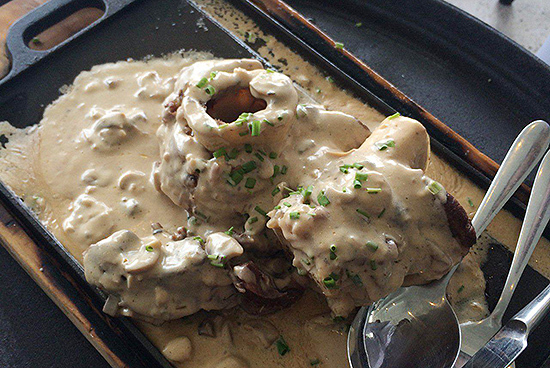 He even dubbed Cebu's Zubuchon as the "best pig ever." Mind you, he gave the same honor to a roast pork in Bali. With the announcement of his return, Anthony Bourdain has already expressed his interest in tasting sisig and lechon again, as well as adding, "We'll do better than the last time." This second turn is also particularly interesting for another reason. Back in 2008, he discussed how relatively unknown Filipino food is to the rest of the world, but the cuisine has undoubtedly picked up since then. We don't want to be totally specific here (until we're asked to tour him! 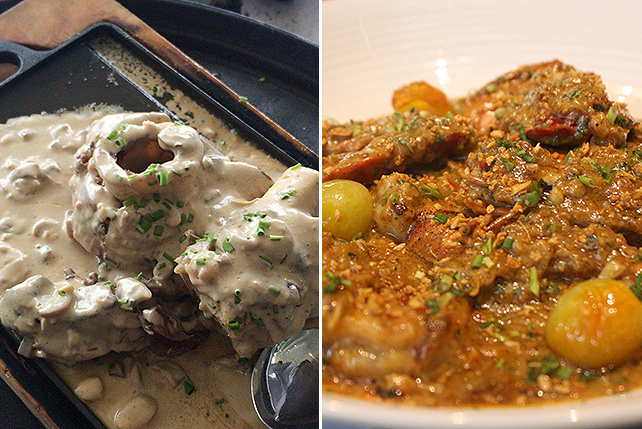 ), but Dedet de la Fuente's prized pork combines his two favorite Pinoy dishes in one hard-hitting meal. Well, he already described quail eggs as adorable when he tried Claude Tayag's pako salad, and he's already experienced the joys of eating fish ball. Kwek-kwek seems to be a pretty logical choice. 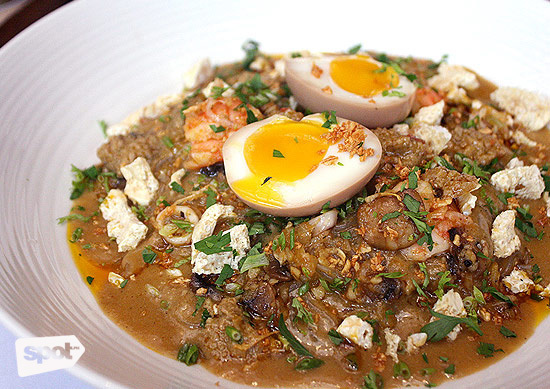 This dish has sooooo many things that we love about Filipino food. First of all, the glass noodles are flourished with aligue for that heart-stopping flavor. We could end there, but we can't forget that it's topped with chicharon, atsuete, squid, shrimps, and a soft-boiled egg. Let's be clear here. We want the dinuguan not just packed with pork but also brimming with innards. Trust us Tony, this is better than papaitan. Or, maybe some Betamax? Ivan Man Dy made him try adobong hipon, which we surmise is a pretty good introduction to the people-deemed national dish. But you could tell Anthony perked up when he heard the word, "adobo." Shrimps aren't exactly the best medium to showcase that tart-salty-savory flavor. He needs to try the real thing! He needs to try it with pork. Chef Tony boy Escalante turning to Filipino food is unbeatable. 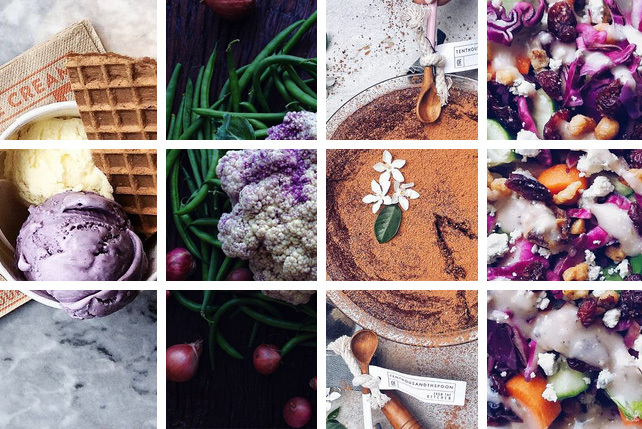 Our cuisine is homey and humble, but there's no harm in seeing it dressed up a little. 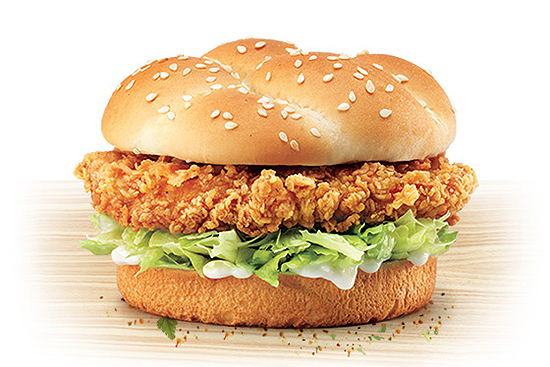 This one needs unlimited garlic rice. Anthony Bourdain described Pampanga as somewhat of a culinary capital, but Sarsa has a lot to say in the food department, too! Chef JP Anglo hails from Bacolod and he's a champ at inasal and their crazy delicious sweets, but he does this Iloilo classic a great service. The Special is truly life-changing batchoy. 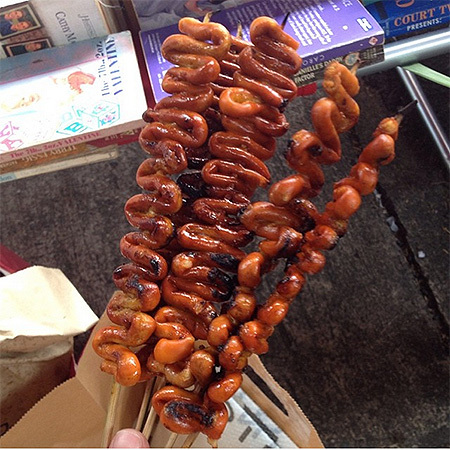 Everyone's always waxing poetic about balut, but nothing can really compare to the pleasure of enjoying intestines on a skewer. Tiny shrimps, coconut milk, pork, chili—people overlook this Bicolano dish because we see it so often at home and in restaurants, but that flavor is deep and complex. Amazing with steaming white rice and lots of heat, Bicol Express is just a thrilling little number every time. His itinerary will take him to Japan and other parts of Asia. It would be nice to see our own interpretation of Korea's bingsu or Japan's kakigori. 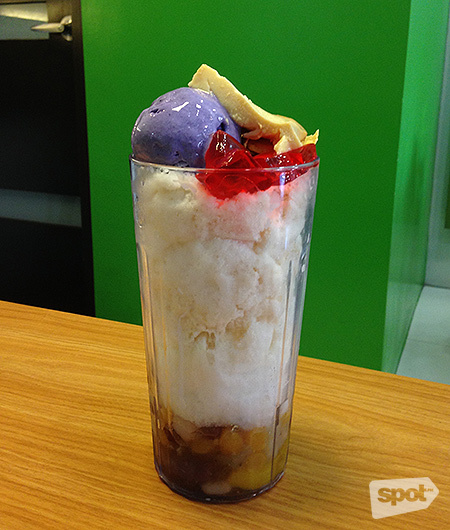 Read our Top 10 Halo-Halo (2014 Edition).